I don’t know about you, but when the weather starts heating up I would do almost anything to avoid having to actually cook! I want foods that are fresh and easy and can come together in less than twenty minutes. 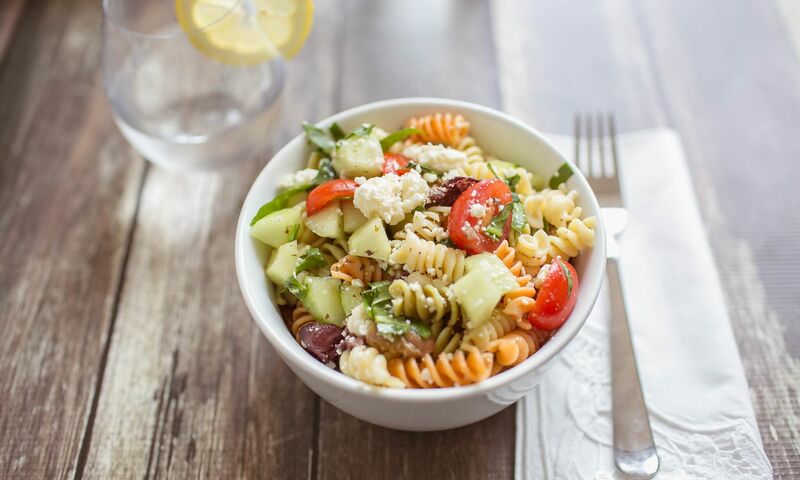 Luckily this yummy cold pasta salad is the perfect solution to my lazy summer cooking style. Not only is it absolutely delicious, it requires just 10 easy ingredients. It is perfectly yummy all by itself, but it is also great served with grilled chicken, steak or shrimp for an effortless meal your whole family will love! 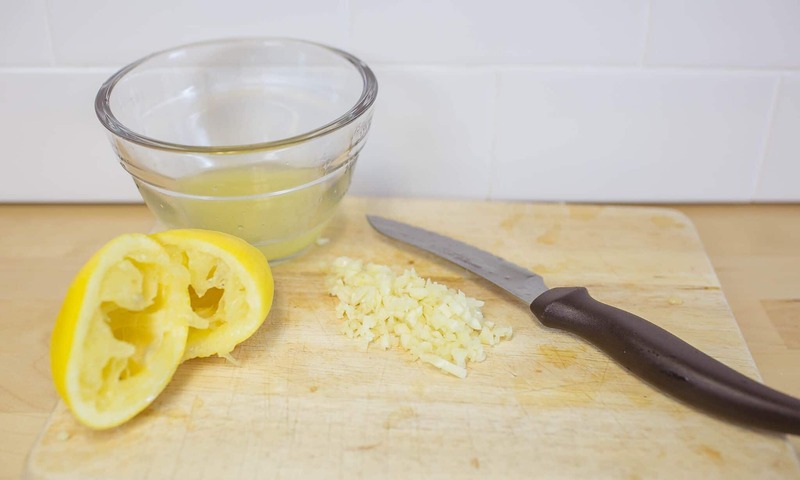 Step 1: Mince garlic, juice lemon, then set aside. Step 2: In a mason jar, mix together olive oil, lemon juice, oregano, salt, pepper and minced garlic. Step 3: Wash tomatoes, then slice and set aside. Step 4: Peel, seed and dice cucumber, then set aside. Step 5: Chop fresh spinach and set aside. Pitt olives and set aside. Step 6: Cook pasta according to package. Then drain and run under cool water. Step 7: In a large bowl mix together pasta and all the chopped ingredients. If serving right away then add dressing and top with feta crumbles. 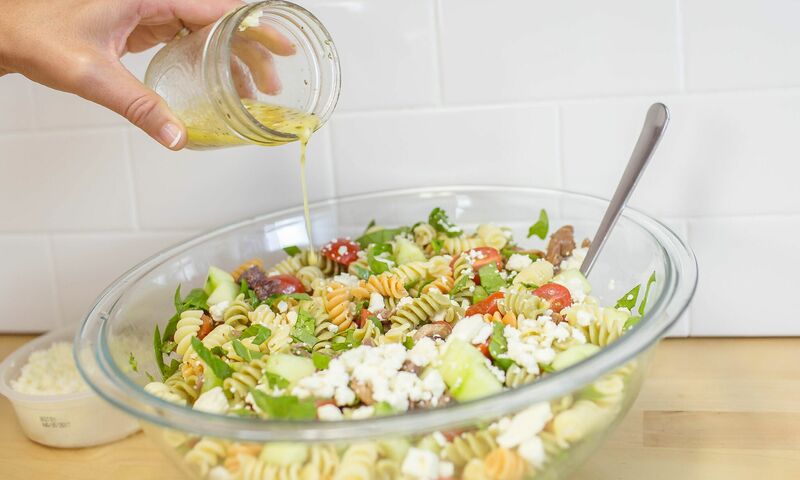 Step 8: Pasta salad can be served cold or at room temperature. 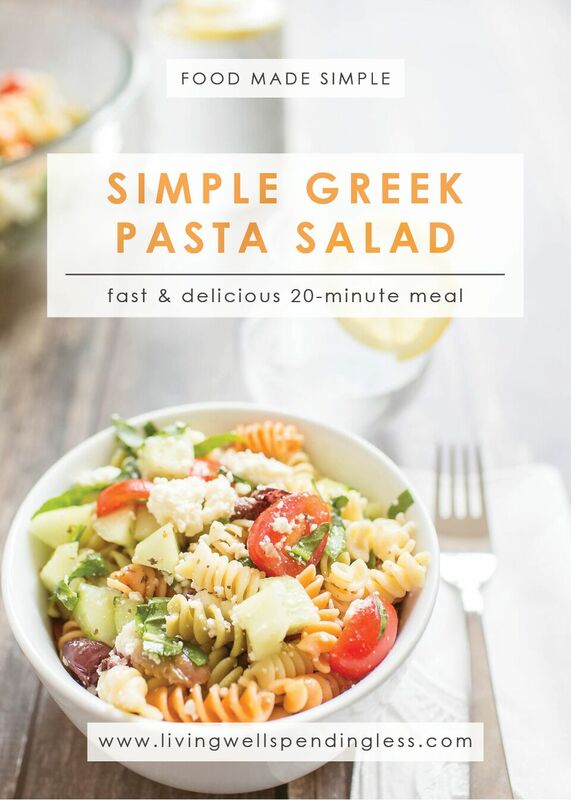 This simple cold pasta salad is a delicious light meal, just in time for Summer. 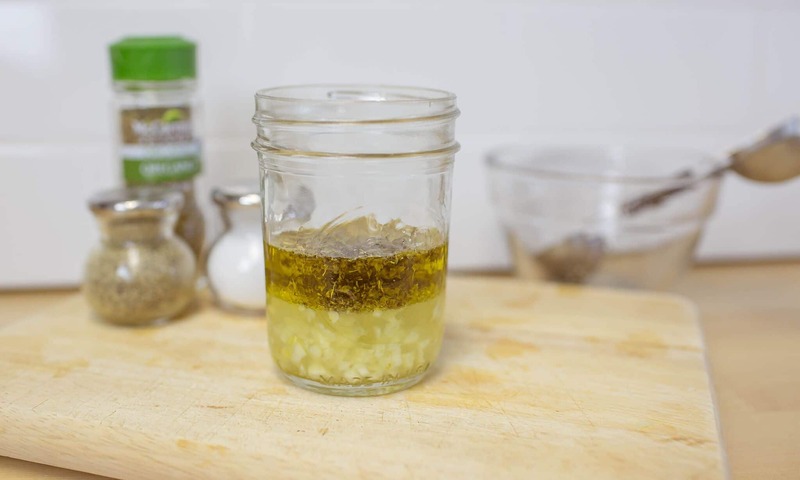 In a mason jar, mix together olive oil, lemon juice, oregano, salt, pepper and minced garlic. 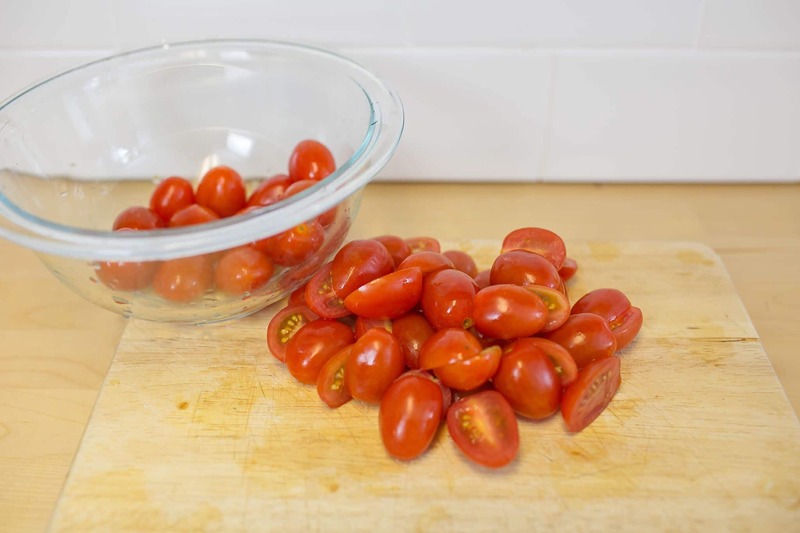 Wash tomatoes, then slice and set aside. 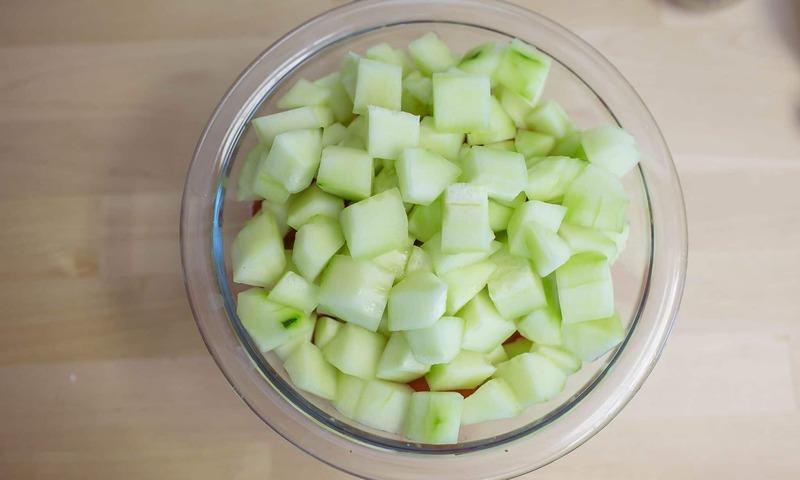 Peel, seed and dice cucumber, then set aside. Chop fresh spinach and set aside. Pitt olives and set aside. 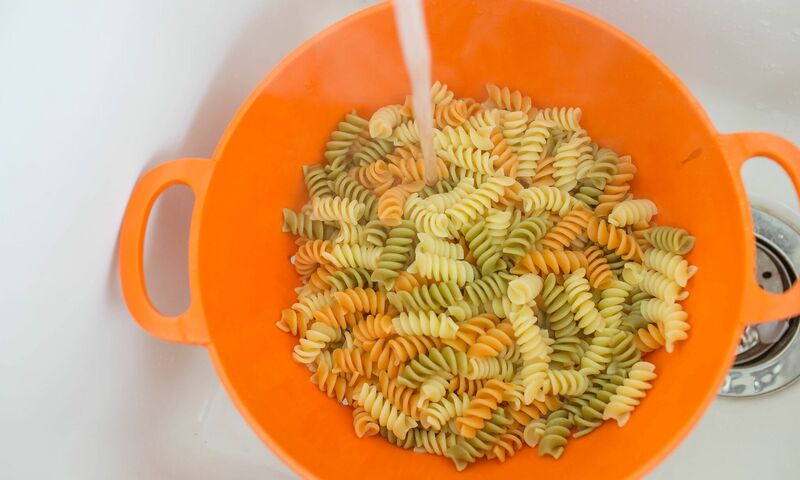 Cook pasta according to package, drain and run under cool water. In a large bowl mix together pasta and all chopped ingredients. 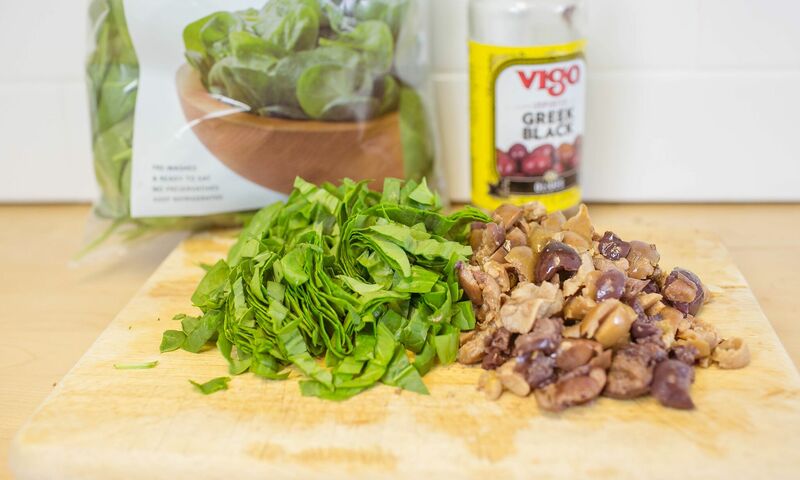 If serving right away, add dressing and top with feta crumbles. 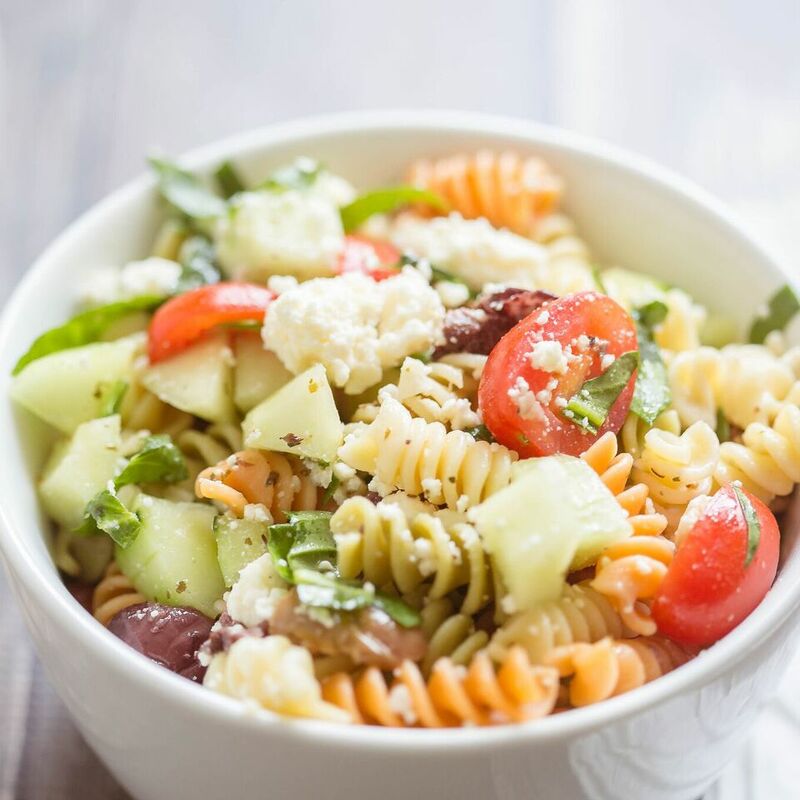 Pasta salad can be served cold or at room temperature. This looks so easy and delicious! I’d probably switch out feta cheese for mozzarella because I’m not a huge feta fan. I use a recipe almost identical to this with shredded (not grated) Parmesan and it is fabulous! 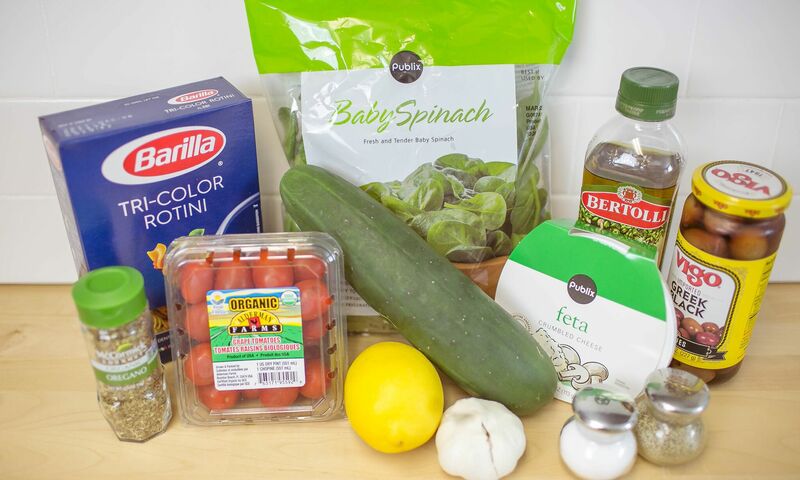 I also cheat and use a light italian salad dressing instead of making it myself. But I love feta so def gonna try it this way! I’m the same way during summer, I avoid the stove at all costs! Salads and cold meals are the best during this time. 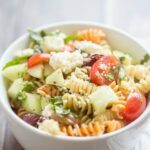 I love pasta salad and can’t wait to try this one. It looks so awesome! Thanks for sharing. 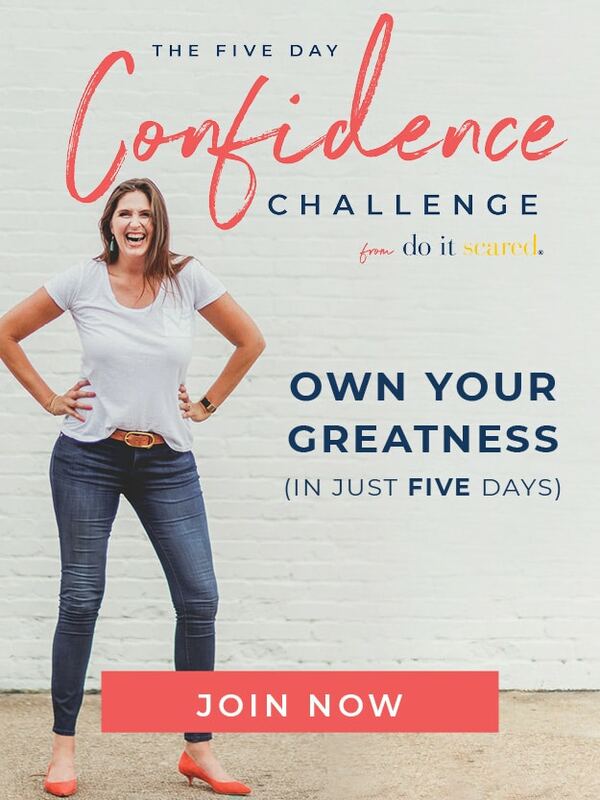 I hope you do give it a try! It is so easy and a family favorite in our house. Amazing article Ruthi, Thank you for your amazing recipes. it always looks easy and delicious! Absolutely love one pot dishes and this one looks yummy! 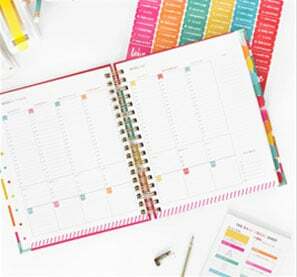 Awesome idea for busy mums! Will be trying this in our house.